Too many women feel like they lack the know-how to take control of their financial lives. But it's not the level of their knowledge that's the problem, says personal financial expert Mary Hunt; it's their lack of confidence. Being in debt isn't a money problem--it's an attitude problem. And Hunt is here to help women develop a confident, capable attitude toward money so that they can take control of their finances. 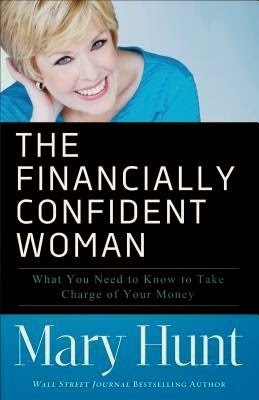 Using the lessons she's learned from her own hard-fought battle with debt, Hunt empowers women to develop nine essential money habits, including giving, saving, investing, rejecting unsecured debt, preparing for emergencies, getting what you pay for, and more. She also includes a six-week action plan to help women get started right away. If money handling is not your strong suit, then might I recommend you add this one to your reference shelf? A quick and easy read, the author takes you through her story and how she turned things around while giving great advice for anyone who just needs a few tips and tricks and how to get into the right mindset. If I had one complaint, this is actually a reprint of her book that was released back in 1996 and unfortunately hasn't been updated with things such as automatic bill paying or online banking.